If you want to see some incredible public displays, here is where to find us! It may still be a way to go, but we're already planning our 2019 events! 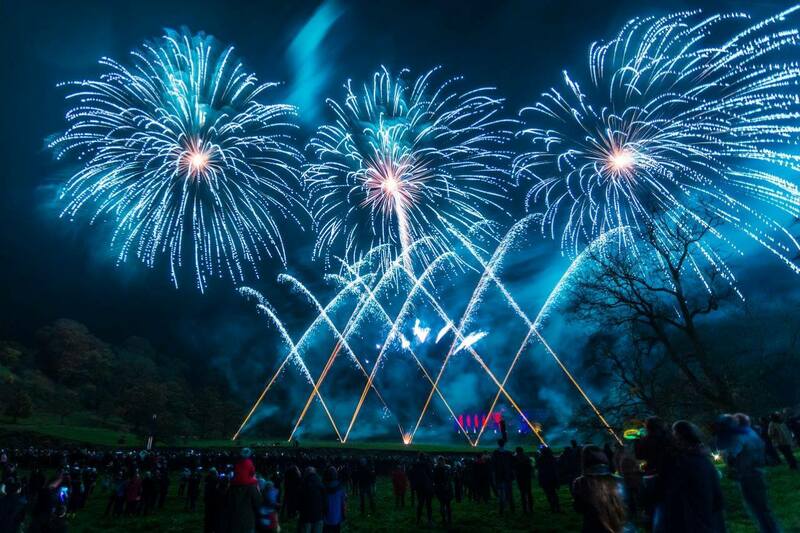 Last year we provided our largest number of displays over the three week bonfire season, with displays ranging from three day events, to large scale pyromusicals to smaller private events. You can see more details of these events on the Past Event Bonfire page. This year we're aiming for an even bigger and better season! We are already confirmed to be back at most of our 2018 venues, as well as a number of new locations with the planning stages under way, but we always have openings for new events. So if it's a display of any size, please get in touch through our Contact Us page with your requirements as soon as possible to see what Optimum can do for you! We will be updating this page closer to Bonfire season with specific details of all our public events, so please check back closer to the time to find out where you can see us! For the past four years we have provided a large scale display for the Beat Herder Festival. 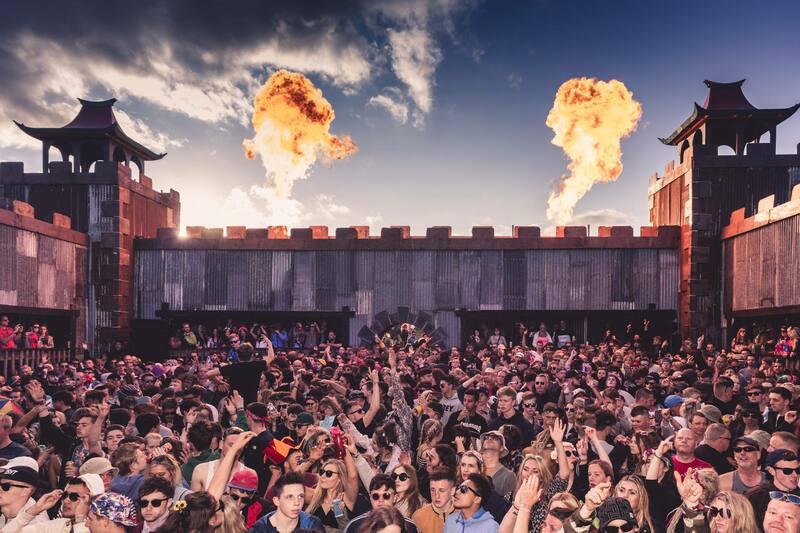 This sold out three day event, held near Clitheroe in Lancashire, has a huge following with festival fans and has grown to a 12,000 strong crowd. On the Saturday evening before the main act, we provide an 8 minute display featuring large caliber shells and a wide variety of effects. The display has received amazing reviews not only from the crowd, but also from various newspaper and magazine articles over the years, with The Mirror calling it "a jaw-dropping firework display that bathed the Sawley sky" and the Burnley Express stating it "looked like something from Apocalypse Now"!! 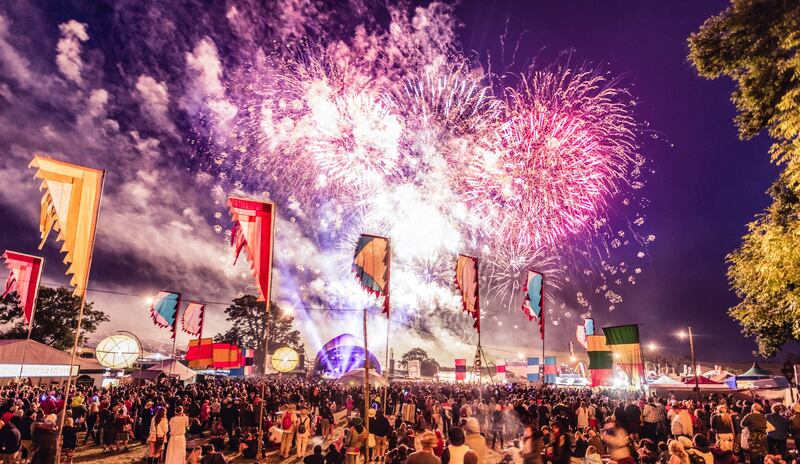 The display has grown in size every year, with the large scale willow finale with salute cakes now an essential part of the Beat Herder weekend for many festival goers. To view a video of the display in 2018, please click HERE! The videos over the years became our "most viewed" on social media and show the scale of both the festival and the fireworks! Some years we've even had to enlist the help of drone videographers to make sure the full display was captured! 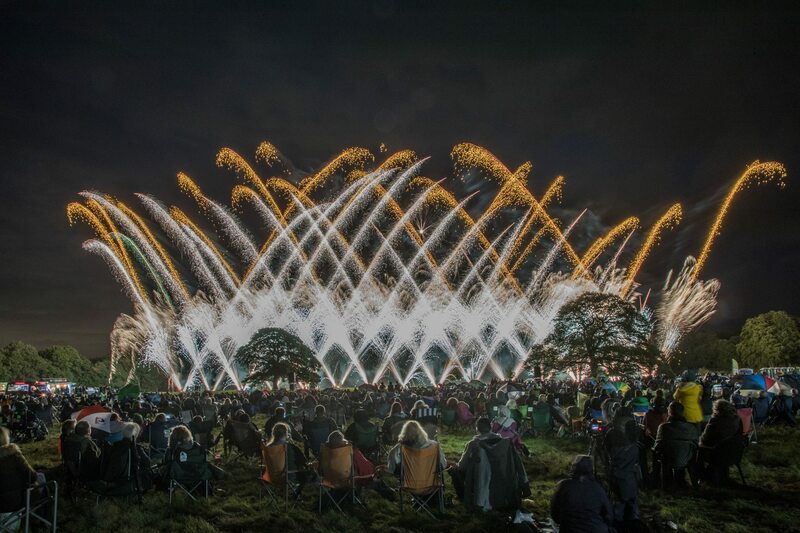 Alongside the firework displays in both years, we also provided large flame units on all three nights of the festival. These were situated on two of the main stages, The Fortress and Maison D'Etre. The received rave reviews both on the night and after the event, making sure revellers were kept warm during the torrential rain! In 2018, we also provided confetti streamer shots for the headliners on the main stage. After the success of the past four years, we are happy to say we are returning for Beat Herder 2019! With fireworks, flames, confetti and lots of new surprises, the whole crew are looking forward to Herding Some Beats once again! 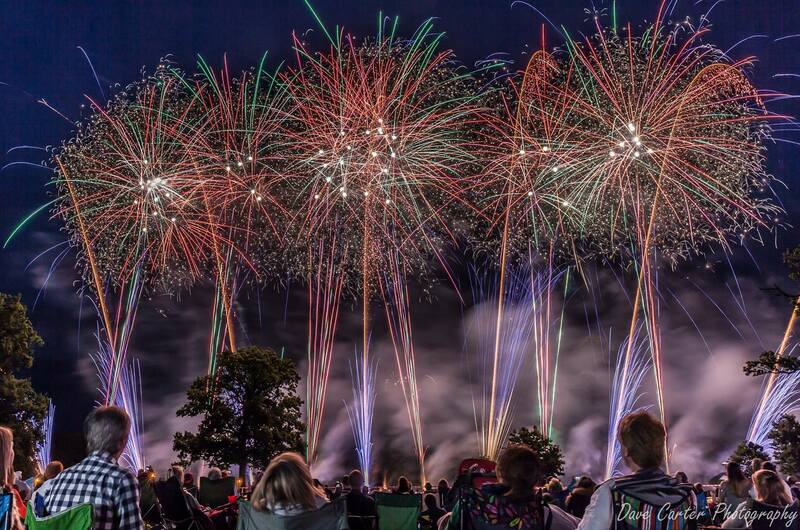 This will be our sixth year competing in the Firework Champions competition and finally we get the chance to compete at the most well known venue, Stanford Hall. For anyone that has not attended any of these competitions before the event is a perfect night out with family, friends or even for corporate bookings. 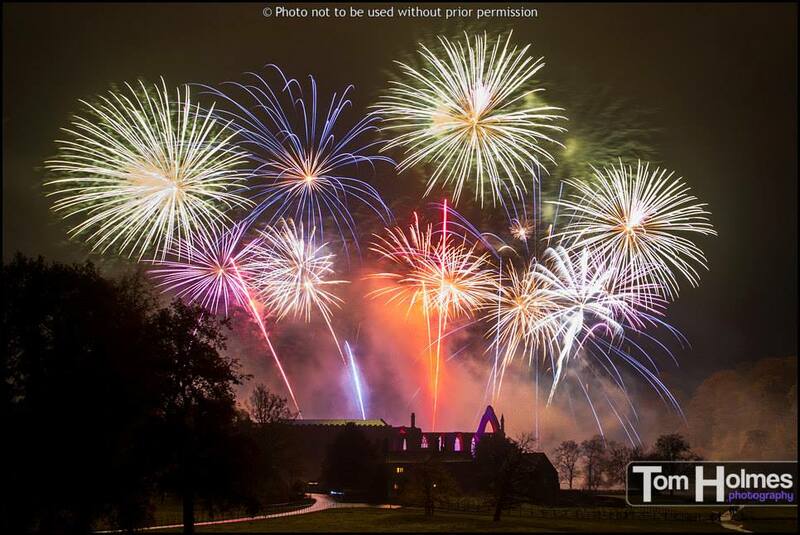 The evening will feature Optimum Fireworks competing against two other UK top firework companies, with each team providing a showcase 10 minute display choreographed to music. The event will also include a demonstration and explanation of professional fireworks and how they are used at the beginning of the evening, with the evening closing with a larger scale finale display by the competition organizers and good friends MLE Pyrotechnics. The Stanford Hall event is the second of six rounds to be held across the UK over the summer. 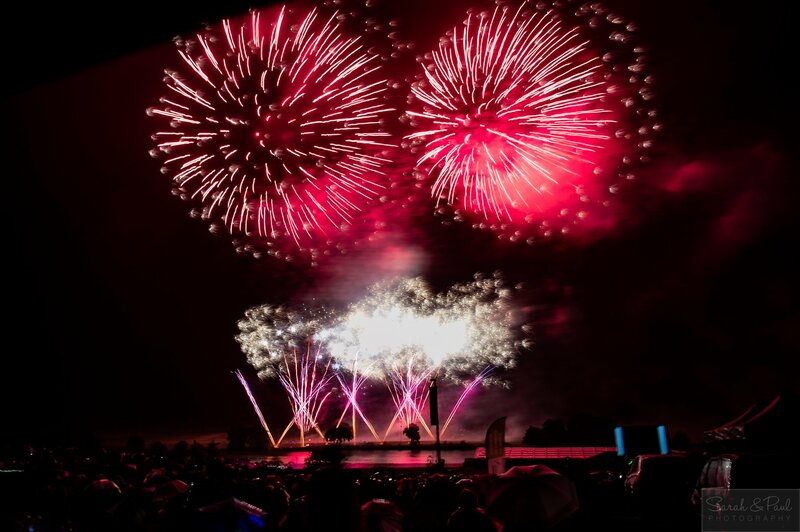 The Firework Champions events are the only of its type in the UK where the audience choose the winner by voting for the team they enjoyed the most using their mobile phones. The results are then announced on the night after the closing display. With gates opening early, there's plenty to do during the evening with food and drinks stalls, music (you can even send in requests and shout outs! ), entertainment and interviews with the teams shown on a big screen. There's also the opportunity to purchase Gazebo plots, although these sell out fast, and camping is also available before and after the night itself. We're hoping to take our fifth win by wowing you all again with our display. For videos of all our previous displays in the Firework Champions competition, see our Past Event Competition page. 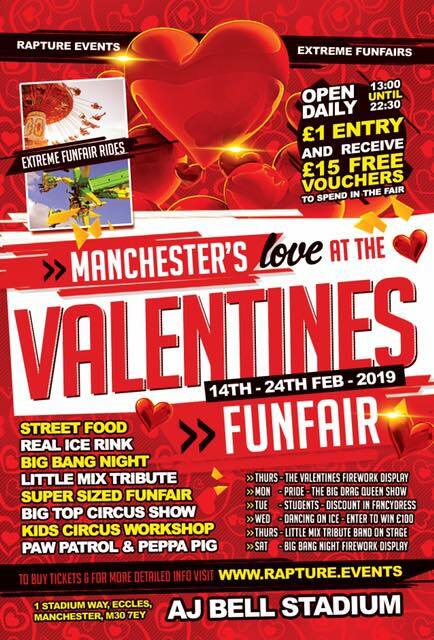 This year we will be firing two displays for the Valentines Love At The Funfair Event, held at AJ Bell Stadium, Manchester. Open 1pm til 10:30pm daily and with tickets only £1, this is a great event with lots of activities going on every evening. For more information on the event, please click HERE, or like our FACEBOOK PAGE for further updates! We have only listed our public events above. We fire other displays regularly throughout the year for weddings and other events, but obviously don't list these for public viewing. If however you are currently looking to book a display with us, please contact us for details of displays we may be firing locally to you. We are always happy to invite potential clients to suitable displays, to give a better idea of the services we provide. We have plenty of videos on our YouTube channel, however appreciate that sometimes you need to see our work up close to really appreciate it. If you are interested in more details about viewing one of our private events, please Contact Us with details of your location and the display budgets you are considering, so we can provide the best matched display for your requirements.